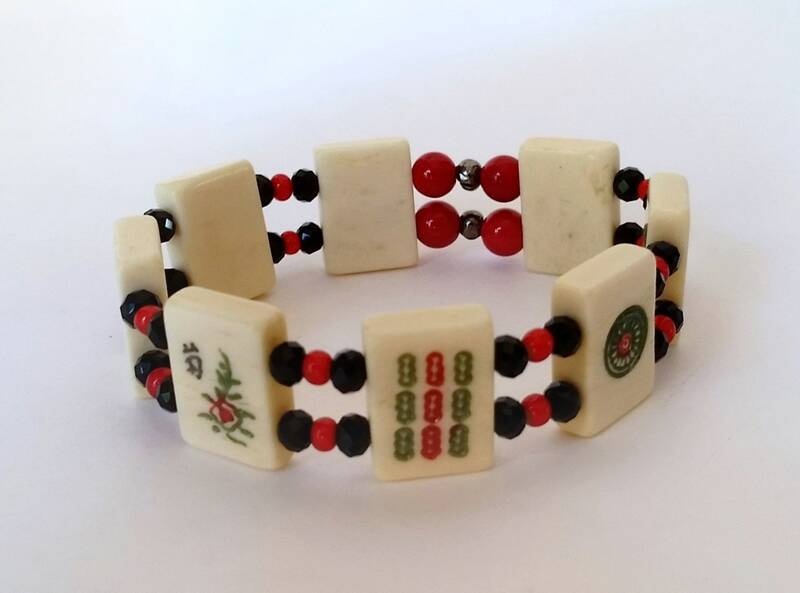 Petite Mahjong tiles along with tiny black crystals and red glass beads make up this adorable stretch bracelet! 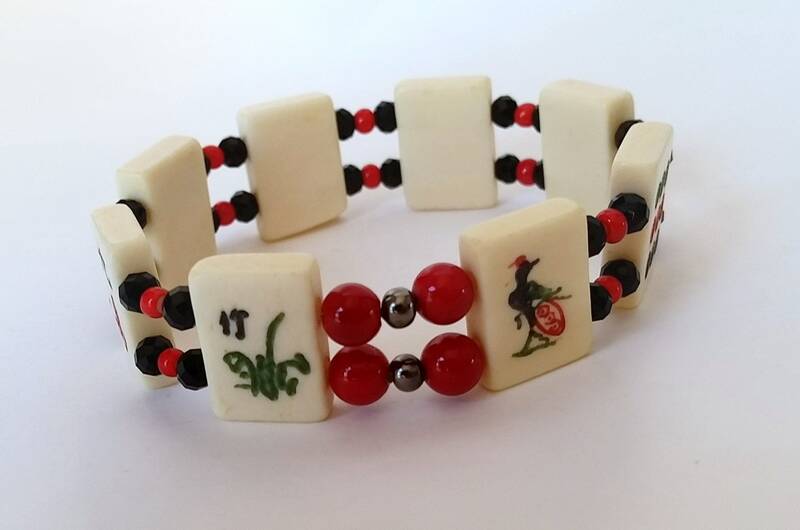 It will fit most small to medium sized wrists 6.75 inches or less around. The size of the tiles makes this one so comfortable and the stretch make is so easy to take on and off! 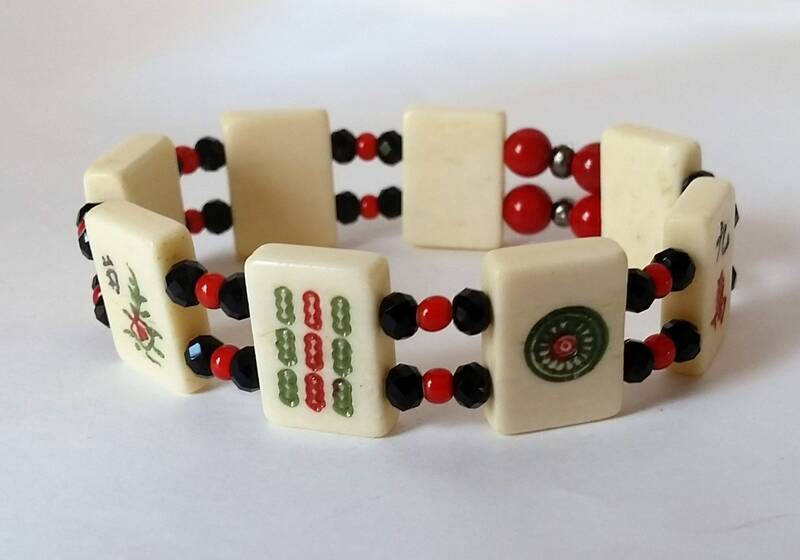 Mahjong tiles include green dragon, 1 bam, 9 dot, 1 crack, flower, 9 bam, 1 dot, and 9 crack. Gunmetal crimp covers conceal and secure the surgeon's knots in the stretch cord. 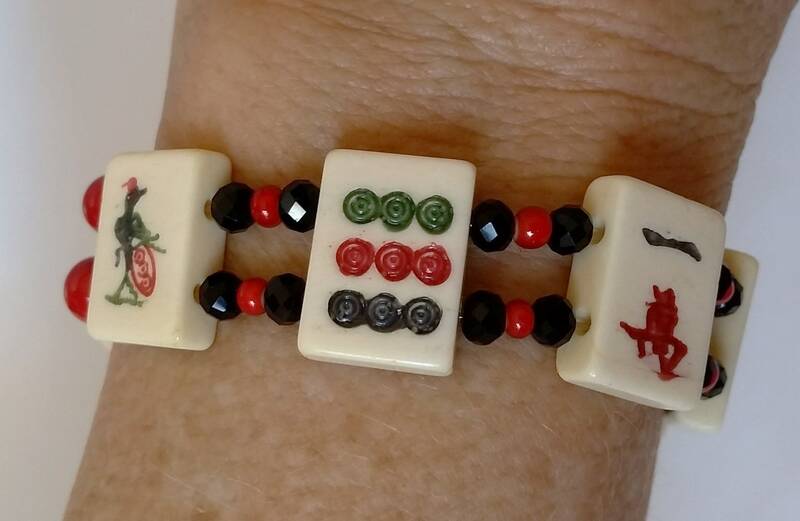 This bracelet is full of 1's and 9's along with a flower and a dragon - good luck to the wearer, always!